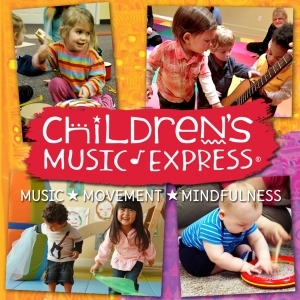 Children's Music Express is a parent and child program offering interactive music, movement, and mindfulness classes for children, birth-5 years! Kids and families love our engaging and fun, groovy sing-a-longs, creative movement and dancing activities, exploring with sound, pitch and rhythm, chanting, finger plays, instrument play, mindfulness practices, and so much more!! Young children learn best through play, repetition, structure and the freedom to be expressive in the moment. Our environment is the perfect balance of structure and free flow play. Come join us for a fun class today! Serving King of Prussia, Abington, Huntingdon Valley, Chestnut Hill, Northern Liberties!